Hello! Welcome! Velkommen! Bienvenue! सुप्रभातम्! Alex (me!) and Alexander (my husbabe) are undertaking a task of monumental, nay epic, nay astronomical proportions! 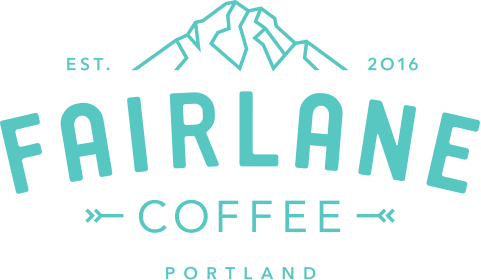 Ok, maybe I’m exaggerating a bit, but I just want you to know how excited we are for Fairlane Coffee and all that we aspire to create from this base. Our vision is cultivate a destination coffee shop that welcomes the conversation around coffee, where it’s from, the people who love it, and how it empowers each of us to make a beautiful positive change in our world. We want to sing it from the mountaintops and, eventually, preach it to the choir that coffee is our favorite and a commodity for change. We want to be a part of that journey: from bean to bag to cup. We want to be a part of your journey: to the woods, to the work-place, to the world. We want to the take YOU along OUR journey as we develop our vision, grow our Fairlane Family and support a more beautiful world for all! Our first main endeavor is ensuring quality in all that we do and offer. Quality is a biggy as a cruddy cup of coffee was the impetus for Justin Timberlake’s “Cry Me a River” (ok, I may have made that up…). Your cup of coffee passed through so many hands to get to you and it should stay super stellar all the way to your cup! Our already epic baristas are participating in ongoing development and training to be the best they can be and give you the most legit cup of coffee! Keeping in-line with our current mission, you may see some visual changes (“Oh no, changes!”, you say…no worries my friend, you’ll like these changes) coming to Fairalne as we lighten up our wood wall and give you a visual of the experience we want you to have. We couldn’t be more excited to have you along for the ride as we grow from coffee shop to who knows (roasting anyone!?). Come drink coffee, share your passion, be who you are and know that we’re in this journey with you! So excited! Fairlane is my new favorite coffe stop!